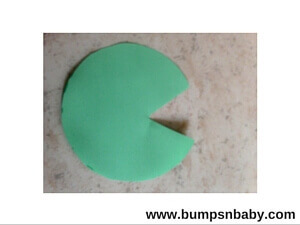 Are you looking for easy Republic day special crafty ideas for kids? 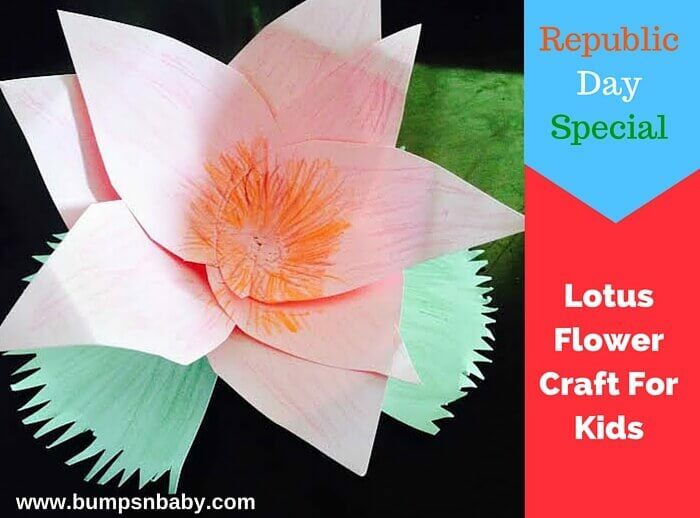 Then today’s post of a special Republic day DIY – paper lotus flower is for you – an easy tutorial for kids to make lotus flowers using craft papers. But before we start, here are some facts about this flower and what makes it so special to us. We know that lotus or “Kamal ka phool” (in Hindi) is the National Flower of India, but did you know that it is also the national flower of Vietnam? It is a beautiful aquatic flower with broad floating green leaves and a nice fragrance. These flowers are light pink or white in color. An important symbol of Indian cultural heritage, the lotus holds a unique status in India. It symbolizes divinity, wealth, knowledge, purity of heart and mind and is also considered as the symbol of triumph. Though it grows in muddy water, it is untouched by the dirt and it is said that the muddier the water, in which these flowers grows, the more beautiful it looks when it blooms. In Egypt, lotus flowers are considered auspicious as they are regarded as the symbol of Sun God. You can also try the India republic day national animals in the form of puppets for kids. 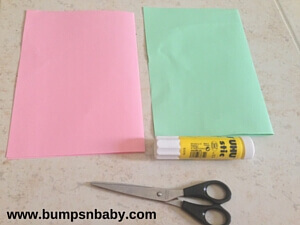 I love to make paper crafts for my kiddo because the materials required are easy to source and kids can make it easily too. 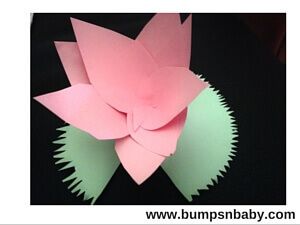 Today’s lotus flower craft is no different as it is really easy to replicate. 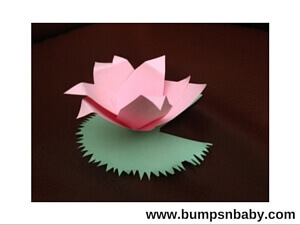 Let us take a look at how to make a lotus. Color pencils /sketch pens (optional). 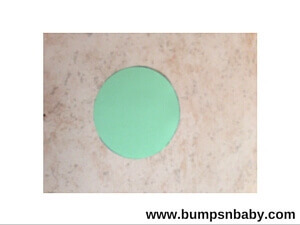 Cut out a circle on the green paper. This circle will be our leaf. 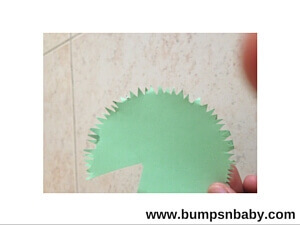 Next, cut a triangle shape as shown in the picture. 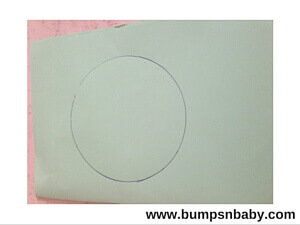 Cut the edges for a realistic look (as shown in the picture) or you may also keep it plain. 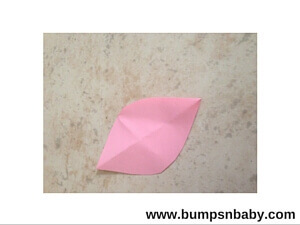 Draw a petal outline on the pink craft paper using a pencil. Cut out the petal. Make a total of 8 such petals. The petals must be long as the lotus flowers have long petals. 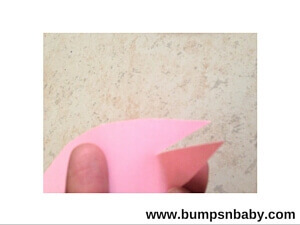 Make a small slit on the paper as shown. 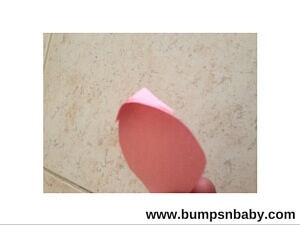 Now stick together the paper as shown in the picture. Repeat the same procedure for the rest of the petals. 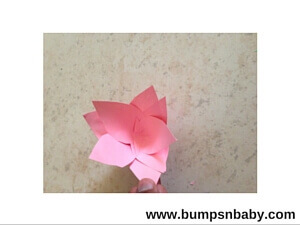 Paste each petal together to make the flower. Glue the flower to the leaf. The flower is ready and this beautiful paper craft can be used to decorate your home. The flower is ready and this beautiful paper craft can be used to decorate your home. White craft paper too can be used for making the flower. You can use color pencils to shade the petals and leaf. I gave a shade of pink for the petals and green for the leaf. 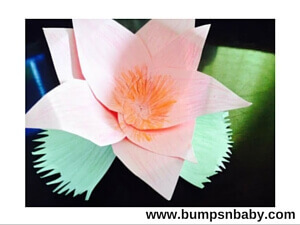 Hope you and your kiddo enjoy the lotus paper flower as Republic Day DIY. Share your ideas in comments as to how you are celebrating the republic day with your kids. Previous ArticleWhy Buddsbuddy Hand Sanitizer is my Daughter’s Best Buddy this Winter?